Be sure to check out all 202 of our photographs from this event HERE! PENN QUARTER -- Mere minutes after Jimmy Kimmel wrapped-up the official White House Correspondents� Association Dinner, dozens of its high profiles guests could be found walking the red carpet at the Newseum, during Capitol File Magazine�s seventh annual after party. 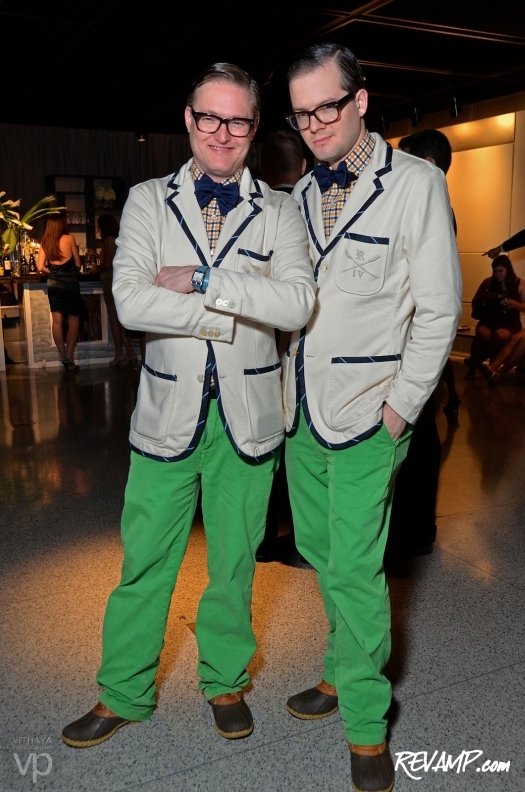 No doubt seduced by the chance to mingle with the likes of Claire Danes (who served as the evening�s host) or the equally famous members of The Creative Coalition (i.e., Tim Daly, David Arquette, Rob Morrow, Richard Kind, Johnny Galecki) in attendance, hundreds of the magazine�s friends and readers packed the building fully prepared to swoon. 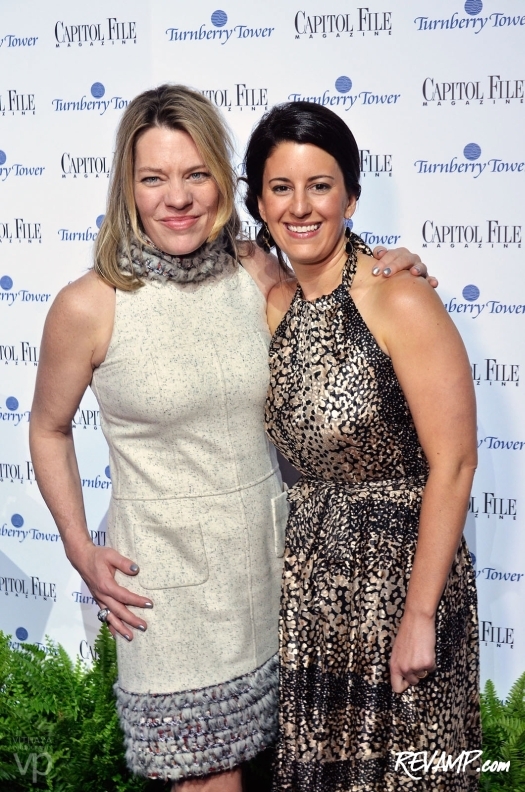 Niche Media President & COO Katherine Nicholls with Capitol File Magazine President & Editor-in-Chief Sarah Schaffer (Photo: Vithaya Phongsavan). But the blowout bash, which saw parent company Niche Media President and Chief Operating Officer Katherine Nicholls travel down from New York just for the occasion, wasn�t limited strictly to Hollywood stars. A bevy of D.C. VIPs, such as James Beard Award-winning chefs Michel Richard and Robert Wiedmaier, and local news anchors (Angie Goff, Eun Yang, Laura Evans, Steve Chenevey, etc.) could be seen congratulating Capitol File President and Editor-in-Chief Sarah Schaffer throughout the event. Between celebrity sightings, guests were treated to a series of open bars, including one dedicated just to specialty cocktails courtesy of Crown Imports and The Charmer Sunbelt Group, as well as a sweet (literally) lounge full of desserts sponsored by Infiniti. And of course, for those looking to end the night on a more savory note, Wolfgang Puck Catering stood ready with a parade of tasty hors d�oeuvres. 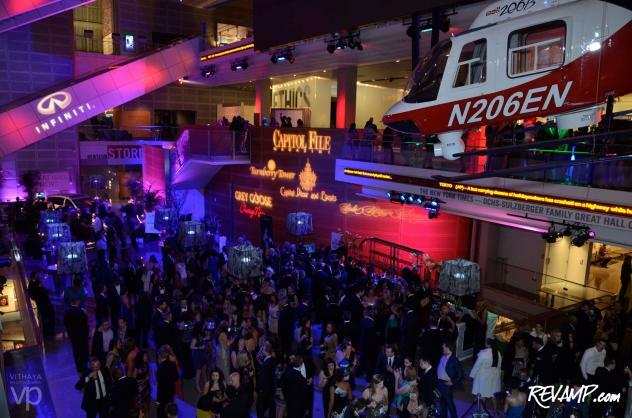 Attendees had free reigns over both of the museum�s lower two levels and more than took advantage of the opportunity to privately play amidst the venue�s famed exhibits. While the stars generally chose to relax in the upstairs VIP lounge (which was nevertheless surprisingly accessible), they did their best to accommodate an avalanche of photo and autograph requests from fans. Even the soggy and abnormally cold weather failed to dampen the spirits of guests, with dozens choosing to enjoy the panoramic views of the Capitol from the Newseum�s (covered) outdoor terrace. 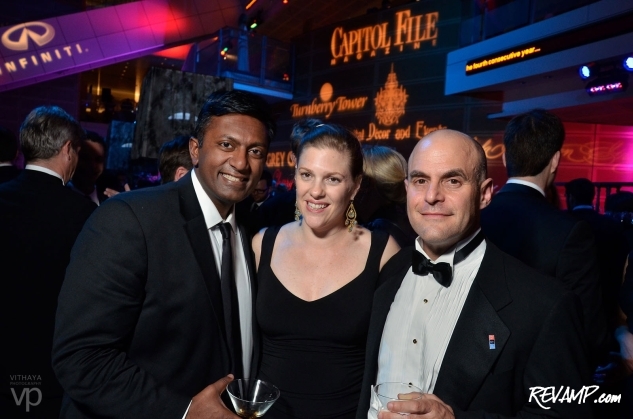 Another WHCD after party safely Filed away under �fun�!